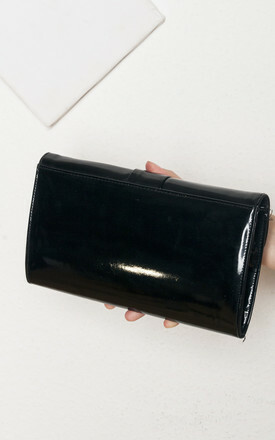 Cute lil patent leather clutch from the 80s. It's fully lined & has a pocket inside. Survived all these decades in a flawless vintage condition. width: 26 cm / 0' 10"
depth: 3 cm / 0' 1"